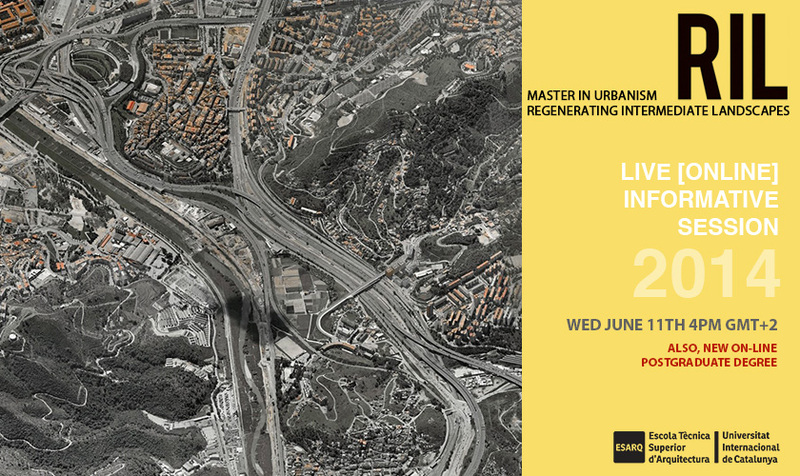 Due to all requests for informations and doubts about our master and postgraduate degree in urbanism, next June 11 4:00pm (GMT+2), we’ve arranged another live (on-line) informative session for explaining the Master Degree in Urbanism ‘Regenerating Intermediate Landscapes (RIL).We will also introduce the new RIL’s Online Postgraduate Degree. The Online Postgraduate Degree is based on work sessions that are both theoretical and practical. They are carried out via distance learning using a virtual platform on the Internet. We would like to share the presentation of both RIL’s programmes with you and answer all your questions. All you have to do is send an email to Rosa Lladós (rllados@cir.uic.es) with your contact information and she will send you an invitation. We hope to see all of you online!